LET’s get right down to Islamic business, proving just how dangerous it is to allow stealth jihadists into Congress, let alone to elect an Islamist-in-Chief as POTUS! Patriots, as is said, it is time to pay the piper. LIKE a gigantic jigsaw puzzle, eventually, moving parts fit together – even if seemingly akin to a runaway train. You just have to know which Islamic rocks to crawl under, and be willing to reveal what’s what. THAT being said, atop Obama Inc.’s racial fires and purposeful weakening of America through massive illegal immigration (and several other pressure points), Muslim Congressmen, with direct links to the Brotherhood Mafia, assiduously perform the Brotherhood’s bidding. HUSSEIN Obama’s alike. ESSENTIALLY, some of their actions are visible, while others are not. It just depends. 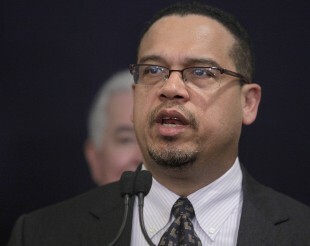 FIRST and foremost, Congressman Ellison is a practicing Muslim. Indubitably, his allegiance is to the ummah. This is a fact. 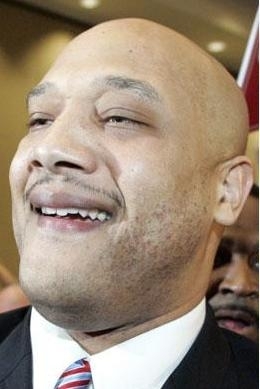 Moreover, he represents Somali-laden terror enclaves in Minnesota and various Islamic constituents. Even more so, he is wholly and inextricably linked into CAIR, the propaganda arm of the Brotherhood Mafia inside America. Let there be no doubt on these converging points. Besides, this investigative journalist is called upon as a Brotherhood expert ‘witness’, and knows this terrain like few others. AS to Ellison’s matching bookend, Rep Carson is a follower of Islam, equally busy upending America via demands for Shariah Law! Therefore, free speech must be silenced, and any criticism re Islam (and its concomitant dangers to America/west) is verboten and blasphemous! You got that? Associates of CAIR lead the way in dollar terms, making over $430,000 in campaign contributions to candidates for federal office. That’s a nice piece of change from a group named as an “unindicted co-conspirator” in America’s largest terror-financing case, in which the federal judge found “ample evidence” of CAIR’s links to Hamas. Overall, Islamist money is relatively minor in the forthcoming 2014 congressional elections, but IMIP information has several benefits. It holds politicians accountable for accepting funds from a soiled source. It signals the Islamist lobby’s affections and intentions. And it tells voters who takes money from individuals linked to enemies of the United States and its allies. NOT only that, Pelosi appointed him to the House Intelligence Committee! What does said appointment reveal, re the extent of Islamic influence peddling and penetration inside America’s bowels? As one of the world’s most prominent critics of Islam, Dutch lawmaker Geert Wilders doesn’t go anywhere without his security detail of as many as six plainclothes police officers, and he rarely crosses international borders without causing political uproar, having already been banned in Britain at one time. Nevertheless, Wilders – who insists he doesn’t hate Muslims but believes Western civilization is threatened by adherents of the Islamic supremacy taught in the Quran – showed up on Capitol Hill Wednesday and spoke at two events at the invitation of Reps. Louie Gohmert, R-Texas, and Steve King, R-Iowa. King’s communications director, Sarah Stevens, told WND the congressman invited Wilders a month or so ago to speak at the weekly Conservative Opportunity Society breakfast he chairs. Wilders spoke Wednesday on his latest book, “Marked for Death: Islam’s War Against the West and Me,” and also attended an evening reception with Congress members and staff along with representatives of foreign-policy groups on Capitol Hill. Ellison, Carson and Crowley showed up Thursday at a news conference King and Gohmert held for Wilders in front of the U.S. Capitol and voiced their opposition to the Dutch newspaper De Telegraaf in a video interview. “Personally, I find it disturbing, but mostly sad, because, you know, the people of the Netherlands are a good people, and this is absolutely true, with a great history of tolerance, great history of giving art to the world and great gifts,” Ellison said. King was unable to speak to WND due to schedule constraints, but he was interviewed by the De Telegraaf reporter in front of the Capitol Thursday, who asked him for his view of Wilders. “I think he’s solid and courageous. I introduced him yesterday as a man who will stand up and speak the truth – even if he’s under death threats, speak the truth,” King said in the video interview. Wilders is scheduled to be the keynote speaker at an event Sunday in the Dallas area called the “Muhammad Art Exhibit and Contest.” Held at the venue where Muslims hosted a “Stand with the Prophet in Honor and Respect” conference one week after the Paris Charlie Hebdo massacre in January, the event’s organizers, the American Freedom Defense Initiative, see Wilders as representative of their aggressive defense of freedom of speech. ADI is run by author and Atlas Shrugs blogger Pamela Geller, and author and Jihad Watch Director Robert Spencer, who themselves have been branded by Ellison, Carson and their allies as “Islamophobes.” Geller and Spencer argue their work amounts to citing the justifications from the Quran and other Islamic texts used by Muslims who employ violent acts and other means to assert Islamic supremacy. “He justifies his desire to ban the Quran and Islam from the Netherlands with depraved comments like, ‘Islam is not a religion, it’s an ideology, the ideology of a retarded culture.’ We should not be importing hate speech,” they write. Wilders’ defenders point out that the Dutch word he used to describe Islamic culture can be translated as “backward” rather than “retarded,” insisting that while Wilders doesn’t mince words, he is no hater of people. “I don’t hate Muslims, I hate Islam,” explains Wilders, the leader of the Party for Freedom, the fourth-largest party in the Dutch parliament. That sentiment apparently is of little consolation to many of the more than 1 billion people who identify as Muslim, but Wilders contends the orthodox teaching of Islam derived from Muhammad is an existential threat to Western civilization. As evidence of the failure to assimilate, in a speech to parliament last year he cited a study showing that nearly three-quarters of ethnic Turks and Moroccans in the Netherlands regard those who leave the European nation to join jihadists in Syria as “heroes.” Wilders pointed out that the same percentage of Dutch Muslims condoned the 9/11 attacks. Wilders has been under constant security protection since November 2004, when two North African Muslims were accused of planning to murder him and another outspoken critic of Islam in the parliament, Ayaan Hirsi Ali. The attack at the Hague came shortly after the murder of Dutch filmmaker Theo van Gogh by a Moroccan national. Wilders was banned from the U.K. as an “undesirable person” under Prime Minister Gordon Brown in February 2009, two days before he was scheduled to show his short film “Fitna” at the invitation of two members of the House of Lords. Wilders appealed the ban to Britain’s Asylum and Immigration Tribunal, which overturned it in October 2009. 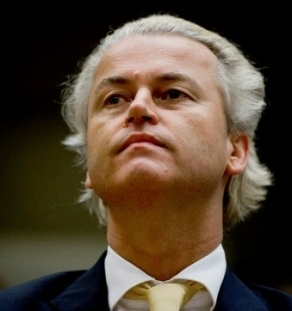 Wilders writings and film “Fitna” warning of the “Islamization” of the Netherlands and Europe prompted Turkish, Moroccan and Antillean organizations in the country to bring charges against him of criminally insulting religious and ethnic groups and inciting hatred and discrimination. In their letter, Ellison, Carson and Crowley assert Wilders’ right to speak freely in the U.S. under the First Amendment is limited because he allegedly incites violence and “prejudicial action” against protected groups. In the U.S., freedom of speech is a bedrock principle that distinguishes free societies from ones living under oppressive regimes. Freedom of speech, however, is not absolute. It is limited by the legal and moral understanding that speech that causes the incitement of violence or prejudicial action against protected groups is wrong. As Mr. Wilders continues his pursuit of political power, granting him entry will embolden him to engage in further incitement of violence and discrimination against Muslims. ALAS, it beggar’s the imagination that State and DHS would have any legs to stand on, in order to deny a visa to a worldwide champion of the west’s freedoms. Clearly, they realized that the timing of crossing such a red line wasn’t efficacious. Yet, they “targeted” an Iraqi nun for exclusion, as evidenced below. REGARDLESS, HUSSEIN Obama’s surrogates – Sec of State Kerry, in tandem with DHS’s Jeh Johnson – are indeed dangerous stealth jihadists! Oh, what a tangled web. AT the same time that jihadists in Congress work one end of the aisle to stop western freedom fighters from entering America, Obama Inc. denied ! a visa to an Iraqi nun. Why? Well, she is a known expert on the systematic purging of Christian communities from Islamic forces! Dangerous territory, if one is an Islamist-in-Chief. Imagine that. UNFAILINGLY, the damage accrued from tolerating the intolerable has been proven, and now it is time to admit the truth and clean house. If not, guaranteed, the only thing left – within a few short years – will be the smoldering ruins of the most powerful nation in the world. AT its base, America will be totally unrecognizable. Barely a hulking shell. This entry was posted in Uncategorized and tagged “Fitna”, “Marked for Death: Islam’s War Against the West and Me”, CAIR, criticism re Islam, Ellison's terror enclaves in Minnesota, Geert Wilders, House Intelligence committee, http://joeforamerica.com/2015/05/congresss-islamic-reps-advance-cairs-dictatessilence-free-speech-iraqi-nun-targeted-toothe-tie-ins/, ICNA-MAS convention, Obama Inc. denied a visa to an Iraqi nun, Ummah by Adina Kutnicki. Bookmark the permalink. 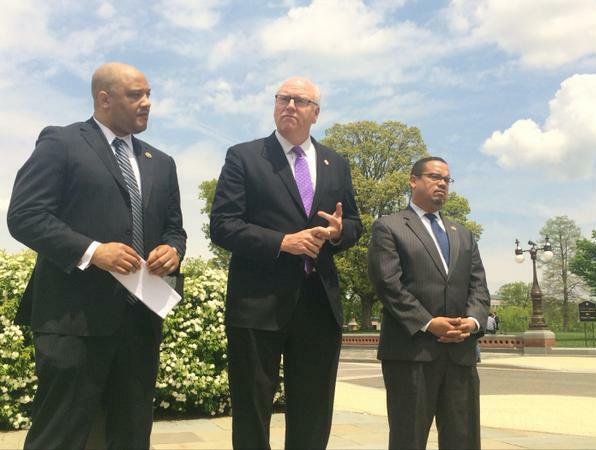 Pingback: Congress’s Islamic Reps Advance CAIR’s Dictates:Silence Free Speech! | Conservative Right Wing News. Conservative News for Political Conservatives–Today's Best Rightwing Conservative News Blogs and Conservative News-Truth In Media. Pingback: Israel's Voice | Congress’s Islamic Reps Advance CAIR’s Dictates: Silence Free Speech! 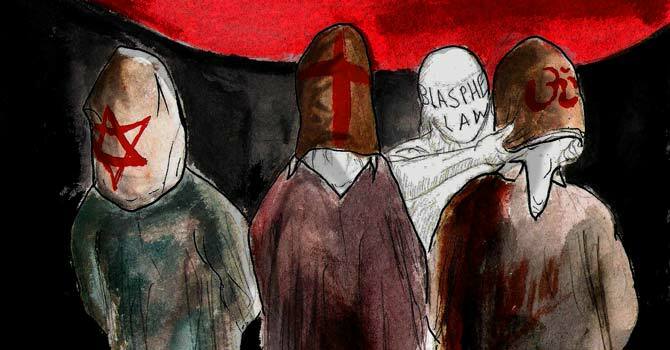 Iraqi Nun Targeted Too,The Tie-Ins.